Many of us have seen the variety of shows lately on TV that highlight a behavior known as compulsive hoarding. Shows like “Hoarders” and “Hoarding: Buried Alive” give insight into the severity of this condition. On the shows, there is a person living in conditions that are, in no other words, unlivable. Things such as newspapers, magazines, clothes, boxes, knick-knacks, and food are piled in every available space in the home making walking through the home hazardous. So what exactly is this condition that is being portrayed on these TV shows? 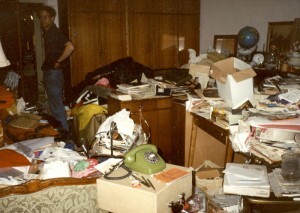 Compulsive Hoarding is an anxiety disorder that affects as many as 700,000 to 1.4 million people in the United States. 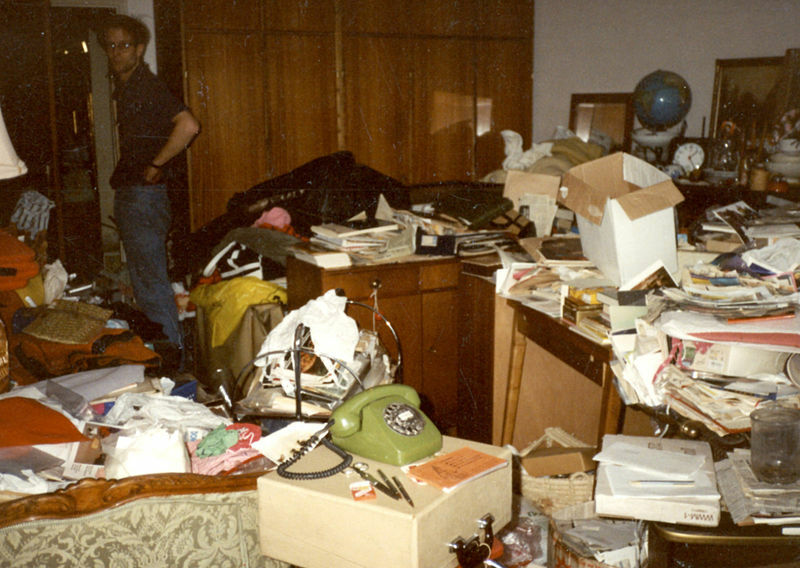 Hoarding is the compulsion to acquire objects but the unwillingness to discard any of them. Those who hoard items say that those items are valuable, they might come in handy one day or they have sentimental value so they cannot be discarded. A bereavement or another significant traumatic life event can trigger this behavior. There are two major stages to hoarding: clutter and Obsessive Compulsive (OC) Hoarding. At the clutter stage a person has a minor difficulty related to keeping things. A hoarder can no longer function normally. Their way of life has been changed severely. Hoarding can occur along with other psychiatric disorders but it’s most commonly associated with Obsessive Compulsive Disorder (OCD). Thirty to forty percent of people with OCD have hoarding symptoms. Because of this, hoarding is being questioned as a subtype of OCD or as a separate disorder all together. Recent research into this condition has uncovered very strong familial ties. Nine out of ten individuals who suffer from either clutter or hoarding report having a first degree relative who suffers from some level of hoarding. So is this due to genetics? Or is this just due to learned behaviors? Studies have revealed an area on chromosome 14 that differs from a normal individual. This same change can be seen in the other relatives displaying hoarding behaviors. Such links have also been made to areas on chromosomes 3 and 9. In addition, Hoarders have significantly different brain activity and functioning than non-hoarders. There is lower brain activity in the brain’s dorsal anterior cingulate cortex compared to non-hoarding patients. Different patterns of cognitive deficits were found, such as more difficulty making decisions and impaired decision making. Current suggested treatment is Cognitive Behavioral Therapy (CBT). Therapy seems to be the best way to deal with the hoarding symptoms. On the TV shows, a therapist that specializes in these types of anxiety conditions will be on hand to guide the person through cleaning of the home and dealing with the anxiety involved. Perhaps learning more about the genetics involved can help determine new treatment options or can better improve options that are already available. Print article This entry was posted by Jennifer Aiello on November 10, 2011 at 4:44 pm, and is filed under G2C Online. Follow any responses to this post through RSS 2.0. You can leave a response or trackback from your own site. I’d recommend the book, “Stuff: Compulsive Hoarding and the Meaning of Things” by Randy Frost and “What Every Professional Organizer Needs to Know about Hoarding” by Judith Kolberg. Both are excellent text written by experts in the field. We are still in the learning stages of understanding and classifying hoarding. It is a very complex and fascinating issue that affects people worldwide regardless socioeconomic conditions. As a professional organizers, my colleagues and I have seen first hand what hoarding is truly about, but we have so much left to learn!